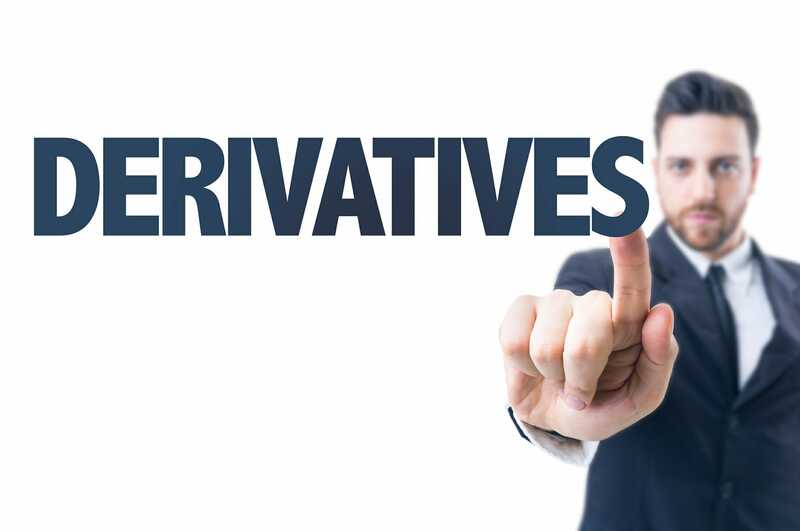 Derivatives are financial contracts whose value is linked to the value of an underlying assetTypes of AssetsCommon types of assets include: current, non-current, physical, intangible, operating and non-operating. Correctly identifying and classifying the types of assets is critical to the survival of a company, specifically its solvency and risk. An asset is a resource controlled by a company which future economic benefit. They are complex financial instruments that are used for various purposes, including hedgingHedging ArrangementHedging arrangement refers to a settlement between two parties whose aim is to reduce the level of future risks in the event of an adverse price movement of an asset. In a literal definition, hedging means a sort of insurance cover to protect a given asset from future risks. But in the financial market, it’s more of and getting access to additional assets or markets. Most derivatives are traded over-the-counter (OTC)Over-the-Counter (OTC)Over-the-counter (OTC) is the trading of securities between two counter-parties executed outside of formal exchanges and without the supervision of any exchange. OTC trading is done in over-the-counter markets (a decentralized place with no physical location) through dealer networks. Contrary to trading on formal. However, some of the contracts, including options and futures, are traded on specialized exchanges. The biggest derivative exchanges include the CME Group (Chicago Mercantile Exchange and Chicago Board of Trade), the Korea Exchange, and EurexEurex ExchangeThe Eurex Exchange is the largest European futures and options market. It primarily deals in Europe-based derivatives. A wide range of trading on this exchange is carried out, from European stocks to debt instruments of Germany..
Derivatives are not new financial instruments. For example, the emergence of the first futures contracts can be traced back to the second millennium BC in Mesopotamia. However, the financial instrument was not widely used until the 1970s. The introduction of new valuation techniques sparked the rapid development of the derivatives market. Nowadays, we cannot imagine modern finance without derivatives. These are financial contracts that obligate the contracts’ buyers to purchase an asset at a pre-agreed price on a specified future date. Both forwards and futures are essentially the same in their nature. However, forwards are more flexible contracts because the parties can customize the underlying commodity as well as the quantity of the commodity and the date of the transaction. On the other hand, futures are standardized contracts that are traded on the exchanges. Options provide the buyer of the contracts the right but not the obligation to purchase or sell the underlying asset at a predetermined price. Based on the option type, the buyer can exercise the option on the maturity date (European options) or on any date before the maturity (American options). Swaps are derivative contracts that allow the exchange of cash flows between two parties. The swaps usually involve the exchange of a fixed cash flow for a floating cash flow. The most popular types of swaps are interest rate swapsInterest Rate SwapAn interest rate swap is a type of a derivative contract through which two counterparties agree to exchange one stream of future interest payments for another, based on a specified principal amount. In most cases, interest rate swaps include the exchange of a fixed interest rate for a floating rate., commodity swaps, and currency swaps. Since the value of the derivatives is linked to the value of the underlying asset, the contracts are primarily used for hedging risks. For example, an investor may purchase a derivative contract whose value moves in the opposite direction to the value of an asset the investor owns. In this way, profits in the derivative contract may offset losses in the underlying asset. Derivates are frequently used to determine the price of the underlying asset. For example, the spot prices of the futures can serve as an approximation of a commodity price. It is considered that derivatives increase the efficiency of financial markets. By using derivative contracts, one can replicate the payoff of the assets. Therefore, the prices of the underlying asset and the associated derivative tend to be in equilibrium to avoid arbitrageArbitrageArbitrage is the strategy of taking advantage of price differences in different markets for the same asset. For it to take place, there must be a situation of at least two equivalent assets with differing prices. In essence, arbitrage is a situation that a trader can profit from opportunities. Derivatives can help organizations get access to otherwise unavailable assets or markets. By employing interest rate swaps, a company may obtain a more favorable interest rate relative to interest rates available from direct borrowing. Despite the benefits that derivatives bring to the financial markets, the financial instruments come with some significant drawbacks. The drawbacks resulted in disastrous consequences during the financial crisis of 2007-2008. The rapid devaluation of mortgage-backed securities and credit-default swaps led to the collapse of financial institutions and securities around the world. The high volatility of the derivatives exposes them to potentially huge losses. The sophisticated design of the contracts makes the valuation extremely complicated or even impossible. Thus, they bear a high inherent risk. Derivatives are widely regarded as a tool of speculation. Due to the extremely risky nature of derivatives and their unpredictable behavior, unreasonable speculation may lead to huge losses. Although derivatives traded on the exchanges generally go through a thorough due diligence process, some of the contracts traded over-the-counter do not include a benchmark for due diligence. Thus, there is a possibility of counter-party default. Futures ContractFutures ContractA futures contract is an agreement to buy or sell an underlying asset at a later date for a predetermined price. It’s also known as a derivative because future contracts derive their value from an underlying asset. Guide to Commodities TradingGuide to Commodity Trading SecretsSuccessful commodity traders know the commodity trading secrets and distinguish between trading different types of financial markets. Trading commodities is different from trading stocks. New York Mercantile Exchange (NYMEX)New York Mercantile Exchange (NYMEX)The New York Mercantile Exchange (NYMEX) is a commodity futures exchange located in Manhattan, New York City. It is owned by CME Group, one of the largest futures exchanges in the world, that also runs the Chicago Mercantile Exchange and Chicago Board of Trade.